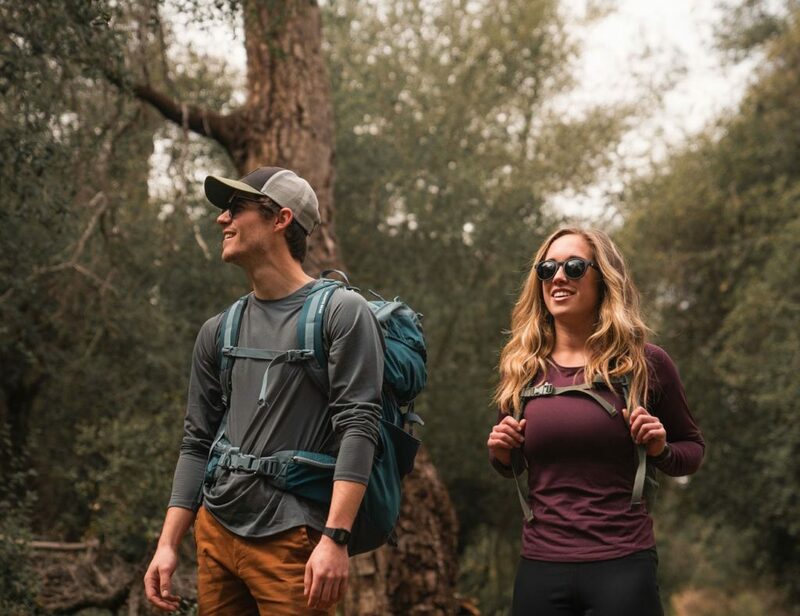 Give your pup a break during mealtime with the Bottoms Up Pet Dish Set. 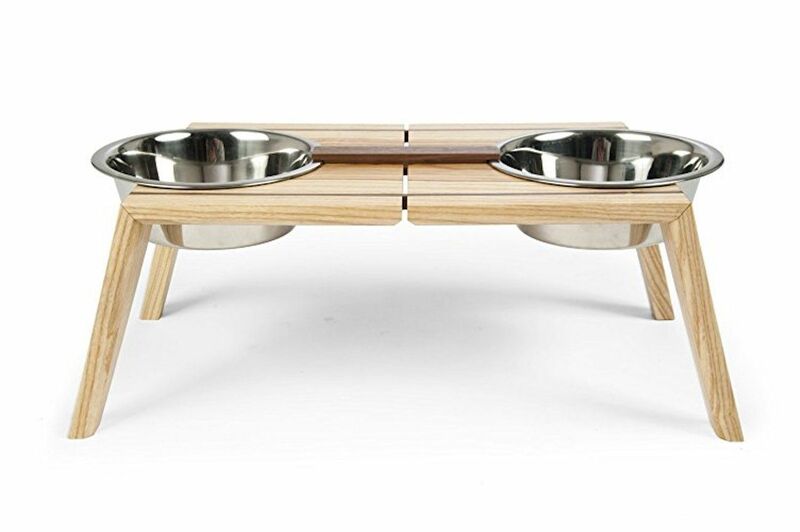 Designed by Andrew Coslow, this beautiful system looks more like a piece of bespoke furniture than a feeding station for Fido. 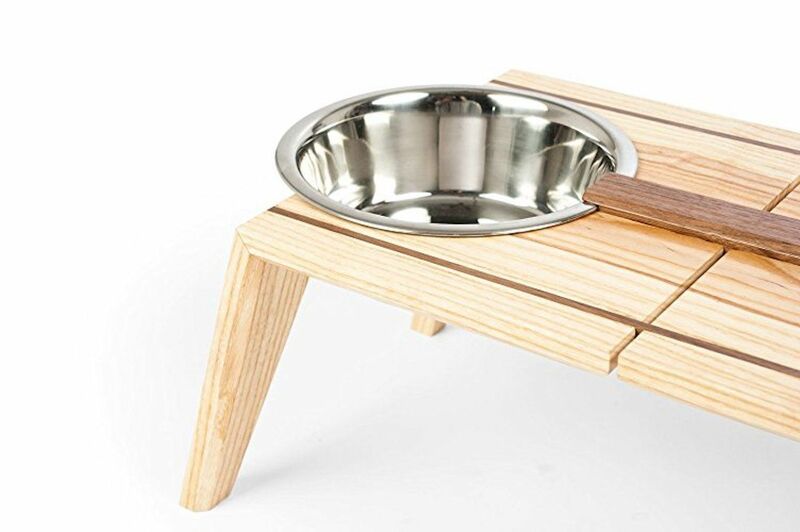 Made with real wood, the Bottoms Up Pet Dish Set can be made in your choice of solid Ash wood with a walnut stringer or solid walnut with an Ash stringer. 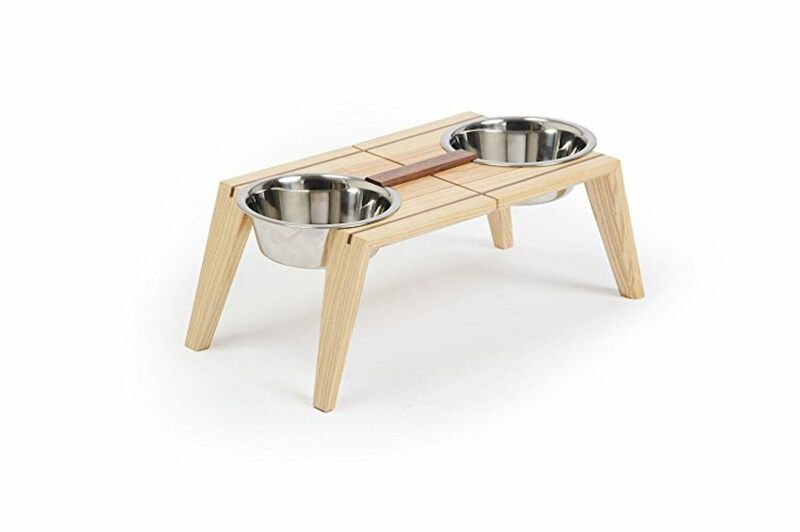 Stunningly simple yet striking, the Bottoms Up Pet Dish Set keeps your dog’s bowls at a healthy 8.5 inches off the floor. 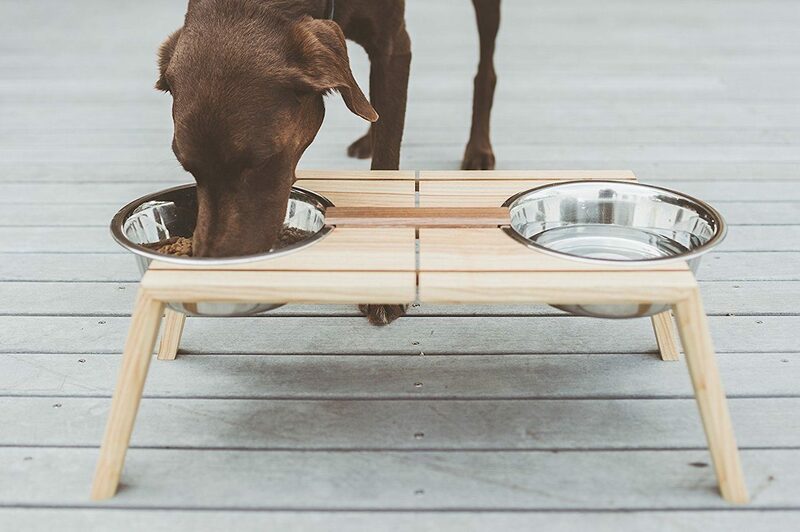 This raised design aids in your dog’s digestion while also keeping the dishes from sliding around on the floor. 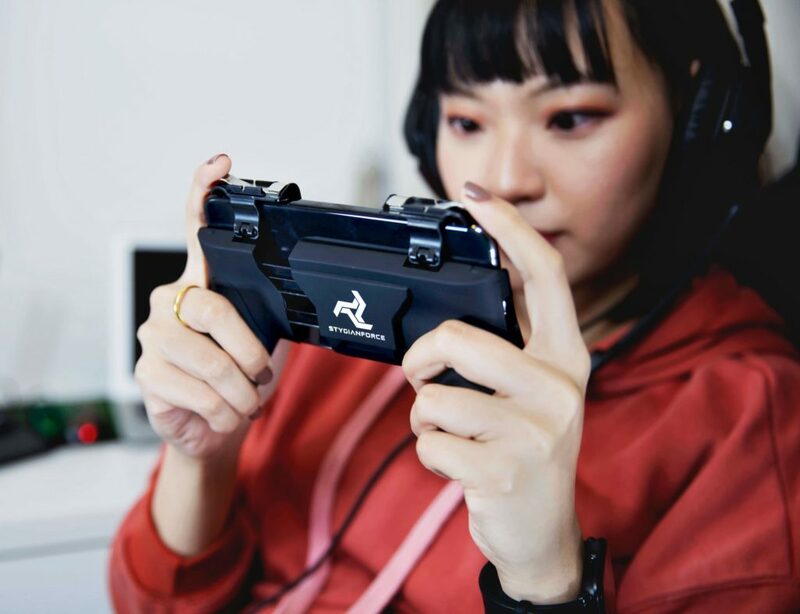 Coming with two 6-inch stainless steel bowls, one for food and one for water, the dishes are securely clipped into place and can be easily removed for cleaning.